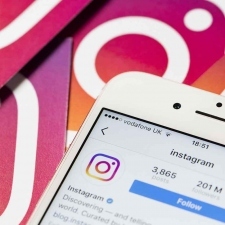 Research from influencer marketing platform Buzzoole has revealed that the use of #ad grew a total of 42 per cent in 2018 on Instagram. The study was focused on the most commonly used hashtags for transparency. This includes tags such as #ad, #sponsored, and #sp that influencers will have on their posts for sponsored content or free product impressions. Influencer posts on the 'Gram grew by over a million in 2018, with over 2.6 million posts recorded. The engagement also rose, and those posts saw over 2.9bn engagements last year. 66 per cent of 2018's sponsored posts were made in the second half of the year. H2's posts grew 48 per cent in 2018 than the year prior also. Buzzoole's research also displayed which sectors were seeing the most sponsored posts and engagements. Fashion reigned supreme, claiming 31.6 per cent, followed by beauty taking 16.2 per cent. The smallest industry by sponsored Insta posts is automotive, clocking in with 3.4 per cent. “Our data shows that Influencer Marketing is growing tremendously despite what some analysts called a difficult year for the industry," Buzzoole Chief marketing office Sarah Whitfield said. Ian Samuel, chief commercial officer at Buzzoole added: “Keith Weed’s comments at Cannes 2018 have actually encouraged the main players in this space to improve their technology and accelerate their plans to tackle fraud,"